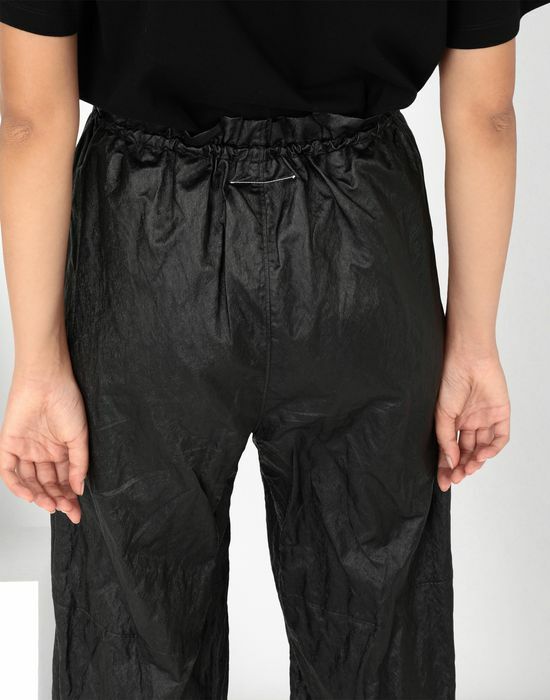 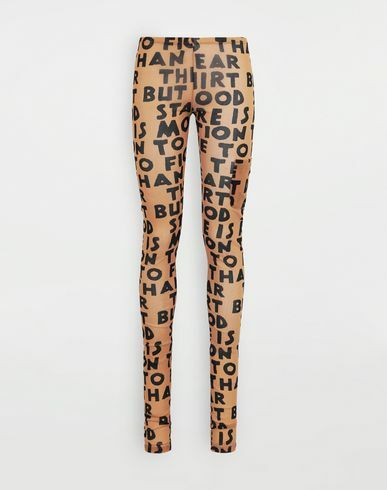 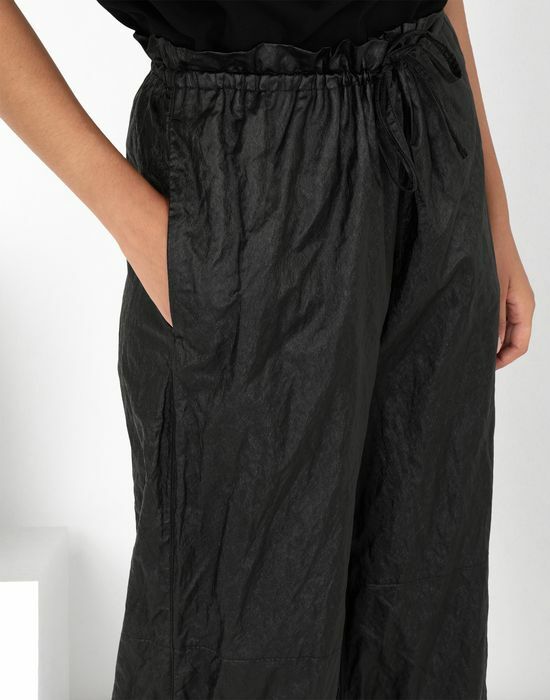 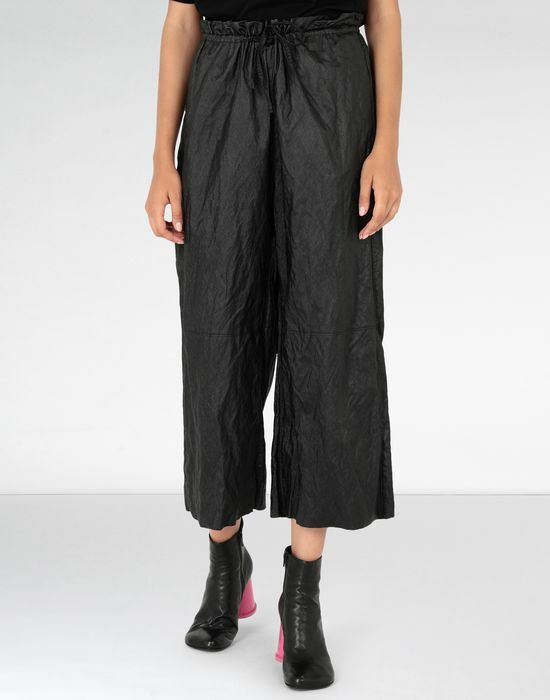 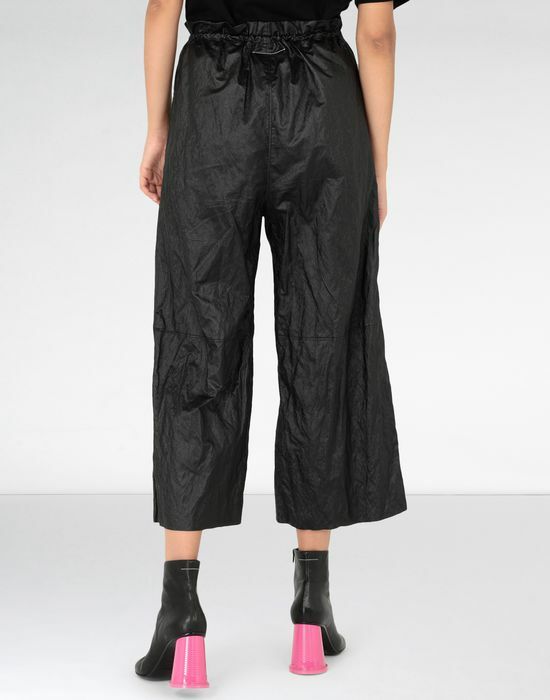 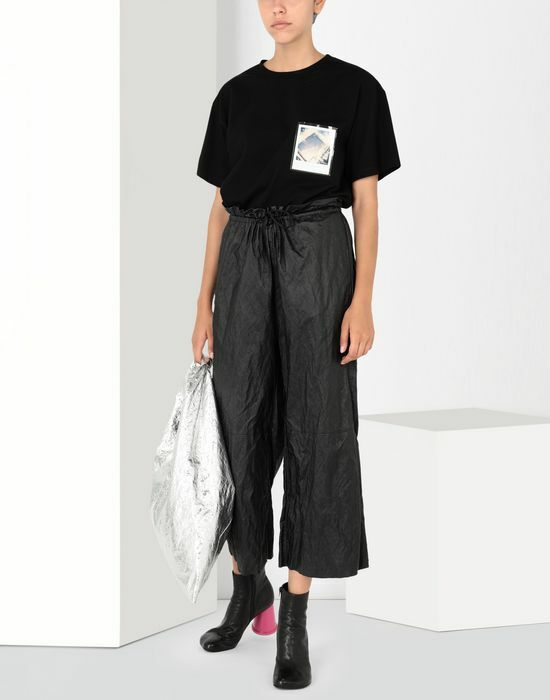 With a futuristic approach, these black pants come in a crinkle finish with an all-over foil effect. 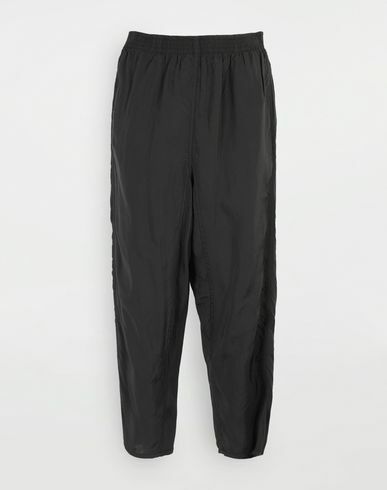 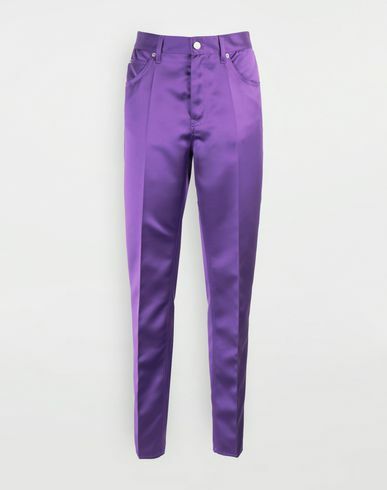 Cut in a wide-leg fit with cropped hems, it is finished with a tie knot waistband. 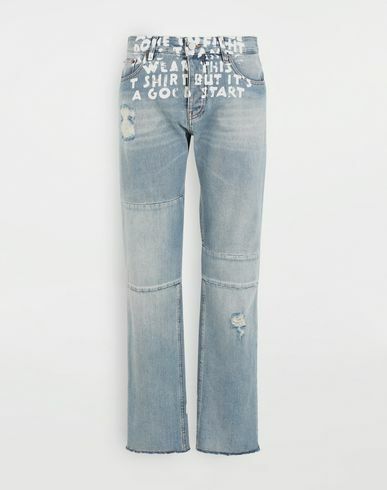 Pair these with our Tabi boots for a casual day look.